Zignaly is a trading terminal with cryptocurrency trading bots that lets you trade automatically with help from external crypto signal providers. Zignaly is incredibly easy to use and can be utilized as a passive income machine. The platform lets you easily connect with a TradingView account, so you can use it with your favorite indicators. Alternatively, you can use the Zignaly trading terminal to create your full strategy at once. The platform is growing very quickly as more and more people discover it. Last December, the monthly trade volume was $2.2 million, and by January, it was already over $5 million. On Jan 1, 2019, the balance among all users was over 240 Bitcoins. Zignaly is growing in every way, with over 29,000 positions created in December 2018 and an average user growth month over month of 170 percent. 4 How Do You Trade With Zignaly? 6 What Else Should You Know About Trading With Zignaly? At the time of writing, Zignaly supports 21 different cryptocurrency signal providers, but the list is constantly growing. All of those signal providers are of high quality and have plenty of experience. Most of the signal providers will also share the ideal settings to ensure their signals work properly. 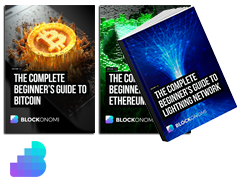 There is currently a mix of free and paid signals from providers such as Crypto Quality Signals and Mining Hamster Signals. Zignaly supports both basic and advanced trading actions. Basic features include things like take profit, trailing stop, and stop loss. Advanced options offered include minimum volume filters, price deviations, and DCA (ReBuy Strategy). The ability to use a trailing stop loss feature is particularly important since most exchanges do not offer this option despite it being among the most used strategies for closing in crypto trading. With a trailing stop loss, you follow the price of the crypto until a market reversal. To give clients the most out of the platform, Zignaly does not limit the coins that you can trade with the platform. Instead, it always accepts all pairs from the enabled signal provider that you choose. This lets you maximize the benefits of your chosen signal provider. How Do You Trade With Zignaly? Zignaly supports your TradingView account and the ability to use those indicators. The platform includes a TradingView Bot that lets you send your own signals right from TradingView with the Cryptocurrency Signal Finder recommendations or indicators. Or you can use the trading terminal from Zignaly. The trading terminal lets you manually open positions with your entire strategy. You must create a strategy instead of directly setting the take profit, trailing stop, and stop loss all together on the exchange. With the Zignaly trading terminal, you can set up your full strategy without any limitations. The terminal includes high-end features such as the ability to split your profit targets, check results for each position, trailing stop orders that combine, and concurrent order types that are different yet on the same balance. The team behind Zignaly specifically designed it to be easy to use, making that a priority from the time of launch. Those getting used to the platform can begin with some simple configurations within the general settings. You only have to use as many settings as you want as many of them are optional. To further increase the platform’s ease-of-use, Zignaly includes explanations for every feature on each tool, so you fully understand each feature. Overall, you should be able to start using Zignaly in just 10 minutes or less. What Else Should You Know About Trading With Zignaly? All you have to do to use Zignaly is connect it with the signal providers of your choice and let it trade automatically, so you can make money even while you sleep. You can use auto-mode by accepting Sell signals. Or you can set up your own set of rules to close your positions and let it run. You can also use Zignaly as a bot for TradingView with your own sell and buy signals that you send to Zignaly. You can accept multi-targets from signals, and there are DCA-based rebuy strategy options. You can opt for sell signals to automate the close, trade with TradingView signals, and use trailing stop losses. Zignaly is indeed affordable, offering a much cheaper price than most competitors. The current price is just $12 a month, which is less than half of the closest competitors. This offers great value for money and gives you more room to grow a profit with your cryptocurrency trading. To help you ensure that you like Zignaly before making a commitment, you can take advantage of the free 30-day trial, which does not require a credit card, so you know you will not be charged. Zignaly is a service that is fully online, and it is cloud-based. Because it runs on the cloud, you get a long list of benefits, including no need to deal with servers yourself, no installation, and the fact that the platform is always updated. Since Zignaly involves your money, the company takes numerous steps to ensure the security of your funds at all times. Zignaly always trades directly with the exchange side. This means that your coins are always on the exchange, so you do not need to worry about withdrawal rights. You get extra security from the fact that Zignaly does not store any funds for you, so you do not have to deposit anything. The balances remain with the exchange of your choice, so you would ask them for a withdrawal, and they control your funds. Zignaly is a cryptocurrency trading bot and a proprietary trading terminal that gives users the ability to easily trade cryptocurrencies using automated strategies. You can use Zignaly with TradingView accounts, take advantage of a growing list of signal providers, and utilize a range of order types. Since your funds remain on your chosen cryptocurrency exchange, the security concerns associated with using Zignaly are minimal. Even so, the platform has strong security measures in place.